This is one of the strongest magnets we carry. Useful for the most demanding of holding applications. 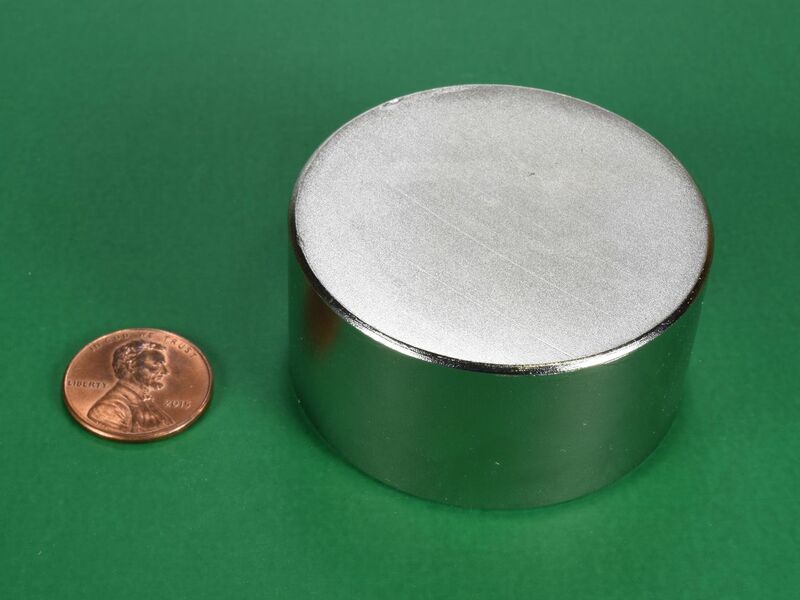 They are very powerful and should only be purchased by users familiar with the proper handling of large neodymium magnets. Two of these stuck together are impossible to separate by hand. It is recommended that they be handled with the assistance of at least one other person. 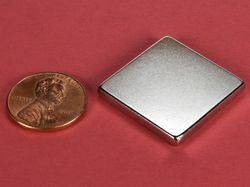 As with any rare-earth magnet of this size, they can pinch, crush, or otherwise cause extreme physical harm if they are not handled with the greatest of care and respect. 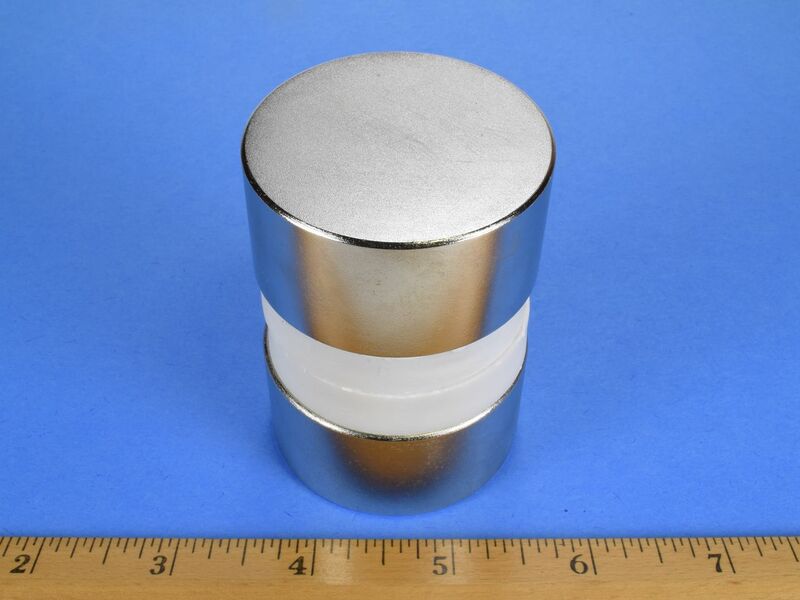 You must read and understand our Neodymium Magnet Safety Page before ordering these magnets and agree to our Terms and Conditions prior to purchasing. THESE ARE VERY DANGEROUS! This size is also available in grade N42 as part number DY0X0.